The clocks are about to be set forward and soon it will be heating up outside. Everyone will be out and about with uplifted spirits as the warm weather approaches. I want to share why spring is the best time to find love in 2019. Having been a New York City matchmaker for over 15 years, this is a magical time of year. We embrace this season with a very friendly welcome. People are happier, baring more skin, more smiles and glowing with positivity. Spring is known to be a time for elevation in love and attraction! Did you know that? Another reason why spring is the best time to find love in 2019. With Valentine’s Day now a memory, the season seems to trigger deeper thoughts such as actual romance, believe it or not! There is definite truth behind the old “love is in the air” theory that is associated with spring and summer time. And there is some science behind all of this. Studies have shown that hormones have a part to play in the warmer months, but not in the sexual way you might expect. Melatonin, the hormone that accompanies tiredness and sluggishness, is at a high in the winter, when the days are shorter and darker. As the days grow longer in the spring, we produce less Melatonin, so energy levels increase. And a lot of that new energy is put toward looking for love. So here we have scientific proof backing up the concept of spring love, or sometimes lust. Either way, it’s a good time to get out there and see what happens. The cold months where you just want to stay in and be cozy are over. Laziness should be eliminated from your excuse box. More people will be out socializing, which means there will be an increase in opportunities to meet someone. As nature conspires to give us those extra hours of longed-for daylight, human beings undergo a psychological and physiological transformation resulting in renewed hope and optimism. 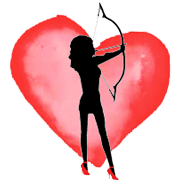 So, whether it’s commitment you’re looking for or you just want to have some fun and get back into the groove of dating, now is the best time to do so! Take advantage of this season and the positive effects it holds. Here are some helpful pointers on how to monopolize on all the opportunities the season of love provides. I recommend starting with some self renewal. You made it through the long, dreary months of winter, give yourself a pat on the back and open the door to the outside world. Reconnect with yourself amongst nature. Go for a walk or run, sit in the park and meditate or do some yoga, read a book, write or draw, whatever sparks inspiration within. Let your best self radiate. Clear out the clutter in your mind, breathe in the fresh air and new possibilities life has in store for you. This season heightens your energy level, which means people are more active physically, triggering an added release of endorphins. Your mind along with your body is generally in a better place, giving you a boost in spirit. Run with it! Spring wants you to find a mate. Seriously. It is basically handing you circumstances to meet someone and enjoy your time with them. Doesn’t get much better than long walks and picnics in the park. Beginning a relationship in the spring can be incredibly romantic and advantageous to it’s survival. But just like anything else, you have to still put in the work. If you want your love life to blossom like the flowers in spring then take charge of it. This season gives you a chance to revive yourself. Spring cleaning can be applied to more than just your closet. Let go of anything or anyone you’re holding onto emotionally that’s no longer doing you justice and get your flirt on with some new prospects who may possess future potential. Break through your bad luck and any bad habits or patterns which have been holding you back this spring by preparing your mind and opening your heart to love and your chances to meet more people. To get your mind ready you must think with positive intentions, which is naturally easier to do when accompanied by warmth, sunshine and happy endorphins. Next, switch up your routine. Enroll in seasonal activities and clubs where you can meet new people, outdoor yoga, tennis, a running club, kayaking etc. If you have a dog take it to the dog park more often, dogs make for excellent wingmen. I personally know several people who met their significant other at a dog park. People generally tend to come out of the wood works in nice weather, so go out and join the fun. Restaurants and bars with outdoor areas and venues with rooftops will be flooded with people, making for great atmospheres to interact with someone who may hold the key to your heart. Street fairs and outdoor concerts will be also be buzzing with a crowd. And guess what, lot’s of people get married right about now, which means you may have some weddings to go to, yet another great setting and chance to meet someone. It’s hard to avoid all the love in the air at this time of year. Spring fever is infectious! Don’t take it for granted. Make the most of all your options and the feel good vibes in the air. Allow the optimism to consume you as you exuberantly spring into love this season! Just some of my thoughts on why spring is the best time to find love in 2019.